Many of you probably know the movie Chapter One: The Kiteboarding Legacy Begins. It’s one of the most famous movies about the sport of kitesurfing and incredibly inspiring. 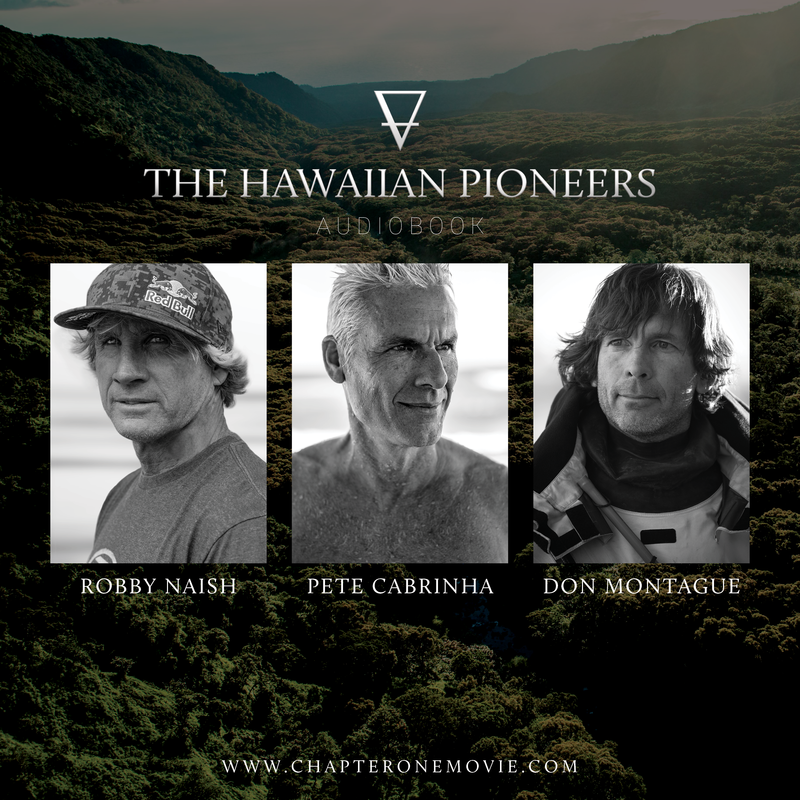 It was produced by the three most important pioneers of the sport: Robby Naish, Pete Cabrinha, and Don Montague. These three Americans, all innovative-thinking free spirits, have played a key role in making kitesurfing the phenomenon it is today. Their stories are fascinating, unique and inspiring. They shared many of these stories in the audio commentary to Chapter One, but some didn’t make the final cut. In order to bring these stories to the public anyway, the three took segments from various interviews they’ve done and assembled them into an audiobook. This audiobook was recently released, and we’ve collected some of our favorite quotes for you here. They describe quite well the adversities Naish, Cabrinha, and Montague faced in the early days of kitesurfing and how they persevered anyway. It is largely thanks to them that we can enjoy the water carried by our kites today. But the Chapter One pioneers did not give up and continued to make great strides in equipment innovation. Today, kitesurfing has lost its reputation as an extreme sport. The equipment has become much safer and almost anyone can learn it – age and fitness levels are almost irrelevant now. We also have a small excerpt from the audiobook for you, as well as a link where you can buy the whole book if the excerpt piques your interest.